Does Industry 4.0 Mean the End of Lean? TXM Lean Solutions > Blog > Lean Leadership > Does Industry 4.0 Mean the End of Lean? In the last couple of years I have been asked a surprising question. “Does Industry 4.0 mean the end of Lean?” In manufacturing, we all love the “next big thing” and this question naturally implies that Lean is “the last big thing” and Industry 4.0 the next. So should you be parking your Lean initiatives and bringing in an Industry 4.0 expert to assess your readiness for the next wave of manufacturing? Industry 4.0 is a term developed by German government to describe its high technology strategy for manufacturing. Essentially the German program promotes the idea of a “fourth industrial revolution”. This is based on technologies such as advanced robotics, the “internet of things”, big data analytics, 3D printing and advanced sensors. This idea has now been adopted by governments and experts around the world. It is being vigorously promoted by a growing army of consultants and experts. So What is the Difference Between Industry 4.0 and Lean? Arguably, both Lean and Industry 4.0 are manufacturing philosophies or frameworks to design a manufacturing operation around. However they are very different. Lean is primarily about people and process. It is technologically agnostic, meaning that Lean can work in a low technology environment just as well as a high technology environment. Despite the rhetoric about “machines manufacturing machines” at the end of the day every business relies on people to design, program, operate and maintain their manufacturing processes. Industry 4.0 can be seen as a philosophy of manufacturing where advanced technology is leveraged to develop integrated and highly adaptive manufacturing systems. Therefore it is about using 21st century technology to find solutions to manufacturing challenges. Industry 4.0 is being presented as a “next wave” of manufacturing that manufacturers have to “get on board”. I think this is quite misleading. In fact, if you are a prudent business leader and keep up to date with global advances in technology in your industry, then you are probably already up to date with “Industry 4.0” in your industry. Do We Need Lean in an Industry 4.0 Environment? 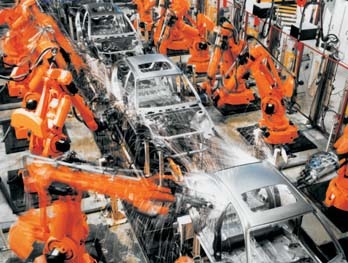 Advanced machines usually need to operate in a clean and organised environment. They need materials and information presented to them in an accurate, consistent and predictable ways. They need to be maintained well. When things go wrong they needs a process to find the root cause and solve problems. Therefore Lean is, in fact, a necessary part of a successful automated factory. Further to that, when we automate, we usually focus on the steps that actually transform the materials in to finished products. In Lean we call these the value creating steps. As most of us know, most waste is located between processes. Therefore if we just focus on improving the process that creates value by automating it, we can actually miss the major improvement opportunity in our business. In some cases automating the value adding step can even make waste worse by increasing overproduction and work in progress between processes. Therefore, in an Industry 4.0 world, Lean and the value stream remains an essential tool to see the waste in our process. Should You Get and Industry 4.0 Assessment? 3D printing is advancing rapidly and will transform many industries. In many ways it is a “Lean” process as it eliminates many process steps in the manufacturing of products. The short answer is no. The way that new technology will appear and the benefits it will deliver are likely to vary enormously from industry to industry. The best response is to make sure that you are up to date with what is happening in your industry. Therefore, a much better investment is to jump on a plane and visit the biggest global trade shows and industry conferences in your industry. Build relationships with overseas manufacturers in your industry and connect with manufacturers in other industries through networking groups such as the Best Practice Network. Much of the hard work on new technology is being done by the capital equipment manufacturers such as machine tool manufacturers. Increasingly these machines will have inbuilt diagnostics that connect to the internet and enable the machine to predict maintenance needs. The machines will become more adaptive (like autonomous cars) to their environment and the materials they are working with and they will become more flexible. Therefore build relationships with key equipment suppliers in your industry so you can stay up to date. The Problems of Changing Technology When You Don’t Change Mindsets. One of the first industries to be transformed by digital technology is the printing industry. The complete end to end printing process has been revolutionised in the past 20 years with advent of digital pre-press workflows and digital printing. However talk to some commercial printers and you will be quoted a lead time of weeks for supply of product. This is because the technology might have changed, but the mindset cases hasn’t. The digital printer can efficiently set up and produce in seconds. However, the systems around the printer may not be able to deliver the artwork, the paper stock and the resources to manage this flexibility. In some cases printers still believe that large batch sizes are efficient pervades, even though digital printers require little or no set up and a batch size of one item is possible. I see similar problems in other highly digitised industries such as CNC machining. I am sure that 3D printing will be equally hampered if old mindsets are not addressed with Lean Thinking. Perhaps the most famous experiment with “Industry 4.0” technologies (if not literally part of an Industry 4.0 program) is Tesla. I am personally a fan of Elon Musk and Tesla, purely for his vision and ambition. His innovation has had an impact on the whole automotive industry. However, as anyone who reads the business press would know, Tesla have some very serious problems. Tesla have invested heavily in highly automated machinery in their assembly and battery manufacturing plants. They coined the term “machines making machines” to describe their process. They have also made much of being “post-Lean”, even though their assembly plant is the former GM/Toyota joint venture, NUMMI. That plant was perhaps the most famous Lean transformation in the world. Tesla’s current problem is that they cannot get anywhere near the production rate they need for their Model 3 product. As a result they are making heavy losses and there are concerns that they may run out of cash. The irony is that for all the technology and investment, this situation is being caused by very human problems – poor supplier integration, getting the automation to work, design problems and quality issues. All the things that our Lean system is designed to address. I hope Tesla survives, but in many ways they should provide pause to those who argue that all the answers to manufacturing problems can come from technology and that Lean is a thing of the past. So What Should You Do About Industry 4.0? I would suggest that you need to do nothing about industry 4.0 specifically. Instead in this rapidly changing world you need to stay closer than ever to your customers and focus on their needs. Stay up to date with technology in your industry as I have suggested, but also monitor your competitors and watch out for changes in the overall value chain, not just your part of it. It is especially important to look downstream in your value chain towards the end consumer. 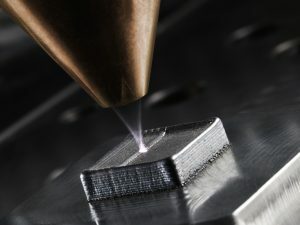 For example, suppliers to the advanced machine tool industry have been profoundly influenced by changes in the smart phone and computer markets, as there are many precision machined parts in smart phones and computers. Likewise, the pace of change towards electric vehicles will have profound implications for anyone involved in any stage of the automotive value chain. Be prepared to look beyond your own industry and study other industries to see if changes in those industries might provide a pointer for your own. If you are improving your process, look to reduce lead time and increase agility. Make sure you don’t just focus on the production process itself, but also consider speeding up processes like customer service, application engineering and sourcing. The workflows at the front end of the business as well as aftermarket support are likely to become as important (if not more important) sources of value than the production of the product itself. Bring your supply chain closer to your business. The extended supply chains of the globalisation era have locked in lead times and hidden costs that kill agility and often end up adding cost. If you invest, focus on investments that improve your service and can deliver a customer benefit. 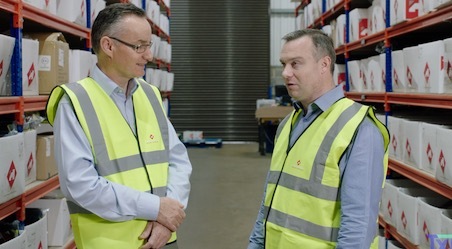 Heavy investment in automation to reduce labour, needs to be very carefully considered to ensure that the returns will actually be achieved, that flexibility and agility is not being lost and that the process you are automating actually has a future. Finally, and of course, the emphasis on customer value and relentless focus on reducing lead time means that Lean Thinking needs to be a key part of your strategy. As for that “Industry 4.0 Readiness Assessment”? I would take a rain check on that one!